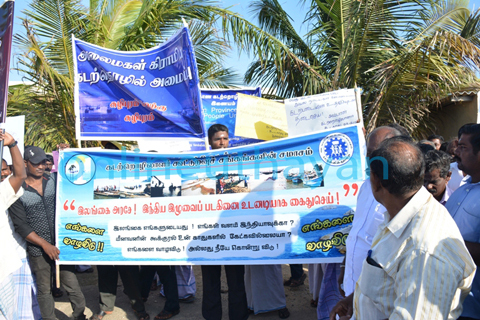 A Protest has been carried out by the Jaffna fishers on 23rd of September 2015 against invasion of the resources in North Sea of Sri Lanka by Indian fishers and against the government of Sri Lanka since it do not act to protect the resources. Since the end of war in Sri Lanka, Indian fishers who operate destructive bottom trawling method to catch fish roaming in Sri Lankan waters and destroying the resources. 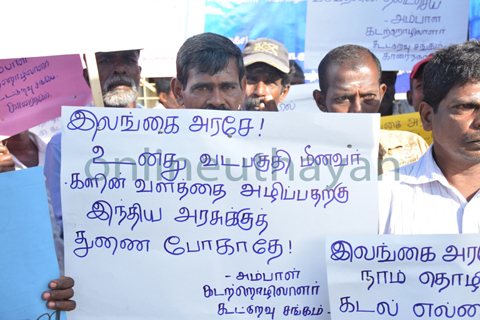 Sri Lankan fishers in North have protested against this unlawful and destructive fishers in several times since 2009 and they have been to India to discuss with fisher communities and with the government authorities. Both governments are acting as "there is no problem at all" and let Sri Lankan poor fishers to suffer. 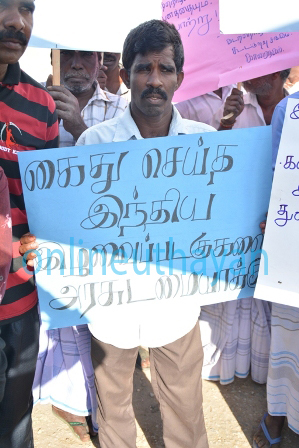 More than 1000 people were participated in Jaffna peninsula. organize by Northern Province Fisher People Unity, Rural fisheries federation, Fisheries cooperative society Union and District fisheries solidarity movement.